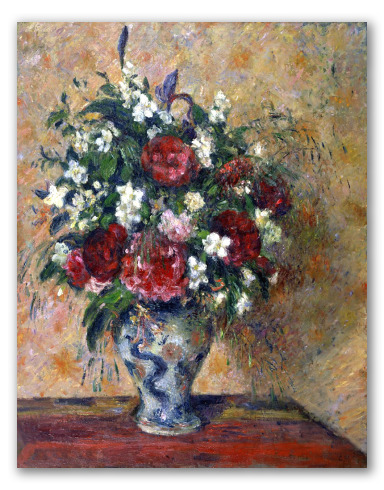 This is one of Camille Pissarro's few remaining floral paintings, which was painted over the course of five years (1872-77). 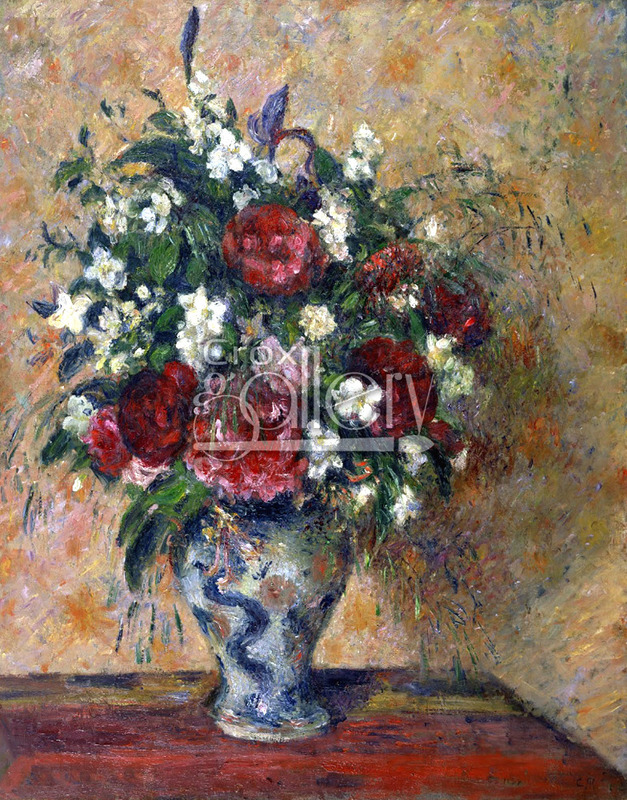 The impressionistic style is very noticeable, and the fine, elongated and curved brushstrokes are reminiscent of the sketches of the hand by Pierre-Auguste-Renoir. This work is currently found in the Van Gogh Museum, Amsterdam.